Giuseppe Viganò designed the Lady Bird bookshelf in raw metal with shelves in Emperador marble, moka oak, Canaletto walnut or sucupira wood. The structure is made of iron rod with cup nuts in metal, galvanized brass or titanium. 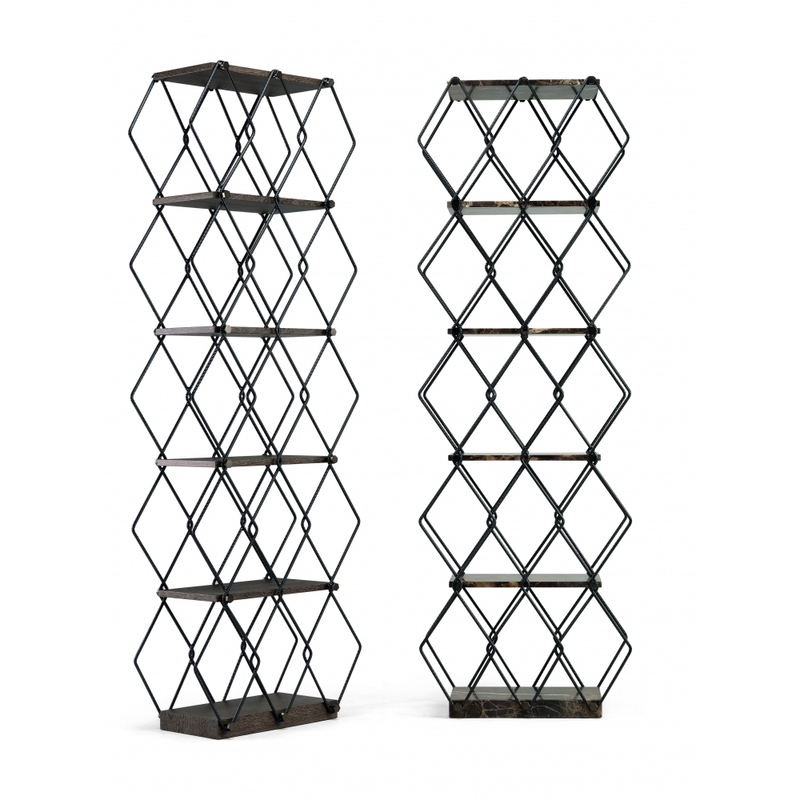 Its line develops itself vertically by forming overlapped rhombus shapes in which books and objects can be stored. Priced for canaletto walnut, moka oak or sucupira wood.